put on a knitted Tigresse sweater, a stunning Kelly Wearstler necklace and my favorite perfume..
had Pancakes with ginger bread ice cream for breakfast even though I’m supposed to be a grown up woman..
TIGRESSE sweater. KELLY WEARSTLER necklace. MARGIELA ostrich feather bic pen. This entry was posted in Uncategorized and tagged fashion blog, ginger bread ice cream, makeup, Pancakes by Carolina Engman. Bookmark the permalink. Lovely flowers!they look like peonies, are they? u know they’re Blair’s favorite flowers? hehe I’m too addicted to GossipGirl! Carolina, you’re living in a dream. Too jealous, because I’ve been drowning myself in the final work of the semester. Want to trade places for a week or so?! Hahahha, I adore this post! I’ve been studying for university :( Those flowers look beautiful, so does the sweater! Those pancakes look delicious! im just beginning my day. First going to spin class and then spending the afternoon at a giant fabric store to pick out fabric for new curtains! 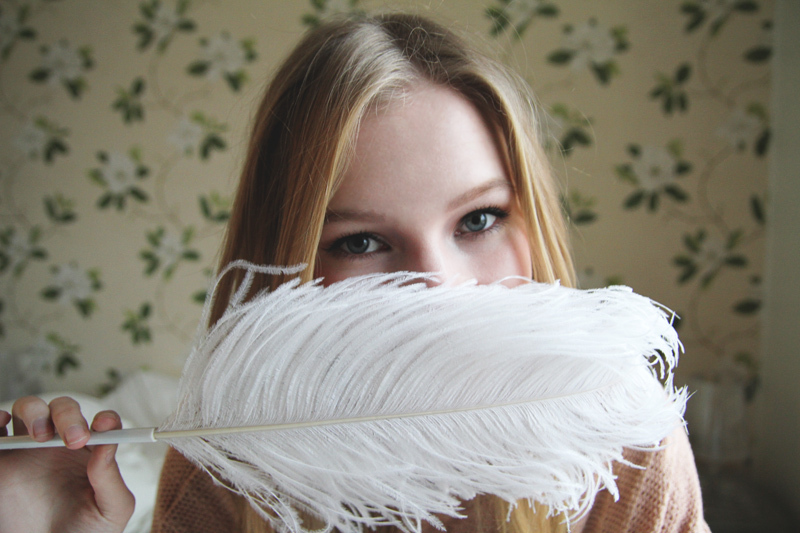 Love the last photo with the feather pen! you’re just TOO beautiful! I adore you! that necklace looks amazing, and i love the photos! Sound like a good start of the day ! Love the flowers and the pancakes look delicious ! love the photos! that’s how a Saturday should be! Your morning sounds so delightful! Gingerbread ice cream pancakes, feather pen, fresh flowers, what a dream! Can you please tell me what’s the size of your nowhere dress? I would like to order one and I don’t know about the fit. nice pictures, the pancake looks just sooooooo yummy! Hehe, I wish my Saturday mornings were more like yours! Looks like a perfect way to start the weekend. Flowers, pancakes, and feather pens… what could be better? 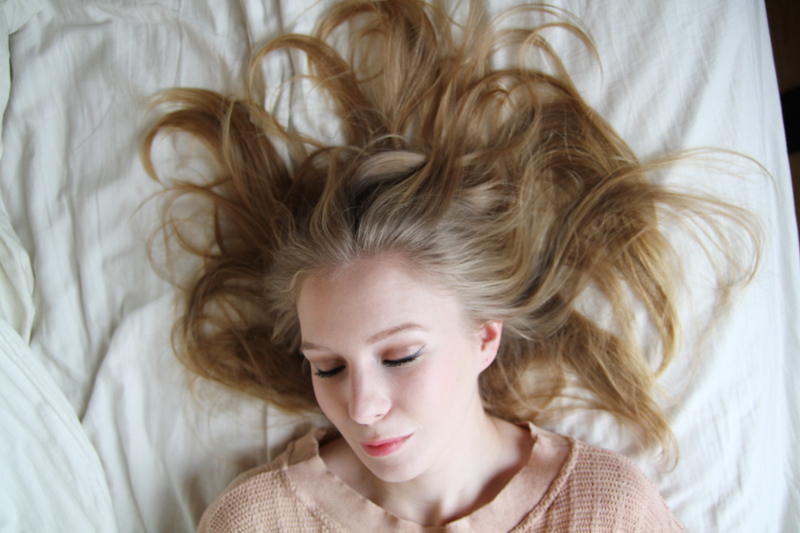 Beautiful photos and so lovely post! Sounds like a great morning! Those pancakes sounds absolutely delicious! Cute! And beats my Saturday of Xmas shopping in the sleet/rain! These are the loveliest photos, craving for pancakes now! Gingerbread ice cream sounds incredible! great post, where is the feather pen from? i want me one of those lol. Yum! Saturday mornings are my favourite too! Love these photos. You look great! THAT, m’lady is a fabulous feather pen. I think I’ll put this Margiela pen on my Xmas wish-list… hehe! Every girl should have one! So Cute, total lovely pics…I Love all Satudarys in my live. oh i love this post. so sweet! Lucky you! I have been dying for a piece of Kelly Wearstler jewelry! This is an amazing way to start a day , I really have to do the same. You look beautiful in the last picture! Writing my blog post this morning, and now songwriting session. Wish I had that awesome pen for it :) What a nice, relaxing Saturday it looks like you’ve had!! I love saturdays too. I just to spend time reading, relaxing and enjoying time with family. Ooh wow send some of those pancakes my way, lady! 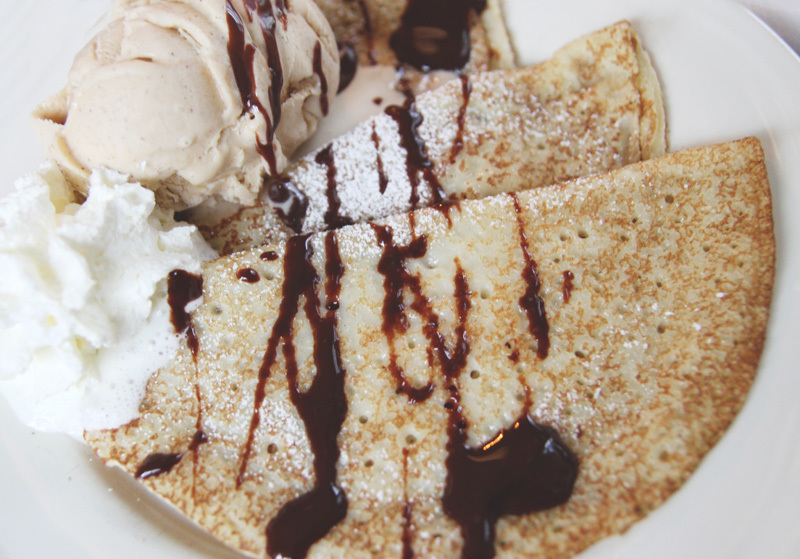 The perfect Saturday morning…pancakes with gingerbread ice cream…amazing!! Kul med lite variering i inläggen, mer sådant!!!! ????? The only part I can relate to is waking up late. Wow! I love my bed. that necklace is so beautiful!! LOVE your blog. Not only because of your style, but also because of posts like this one! Come and check my blog, I’m sure you will like it too and I would love to get your feedback! I love the necklace. It’s beautiful and the pancake looks yummy. The great post ever! U look stunning! These photos are enchanting,love them! i love peonies…anda i love saturdays! so cute! The flowers are beautiful! Amazing pics hun! !Love them all!! Your so pretty! & pancakes look so goood. Great pics! I wish I had those saturday mornings too. Love weekend in any kind of way… And thumbs up for pancakes my favourite food on weekends. love the photos, pancakes look yummy! 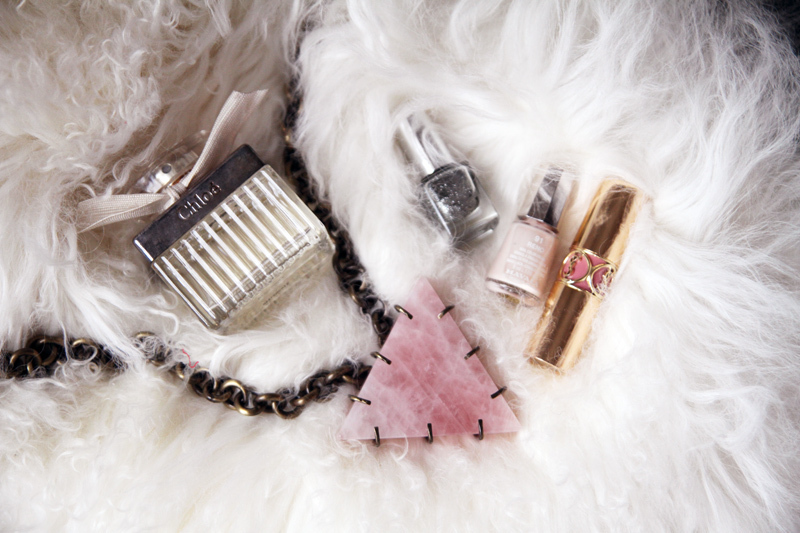 love the kelly wearstler necklace! Beautiful closeups – perfect to get in the same mood…. looks yummy! What kind of flowers are they? I love them, but never know what kind they are. all really cool pics and the flowers are stunning! love these photos! i LOLed at the feather pen! don’t you wish people still frequently wrote love notes in ink? Love this post! That gingerbread ice cream sounds amazing! 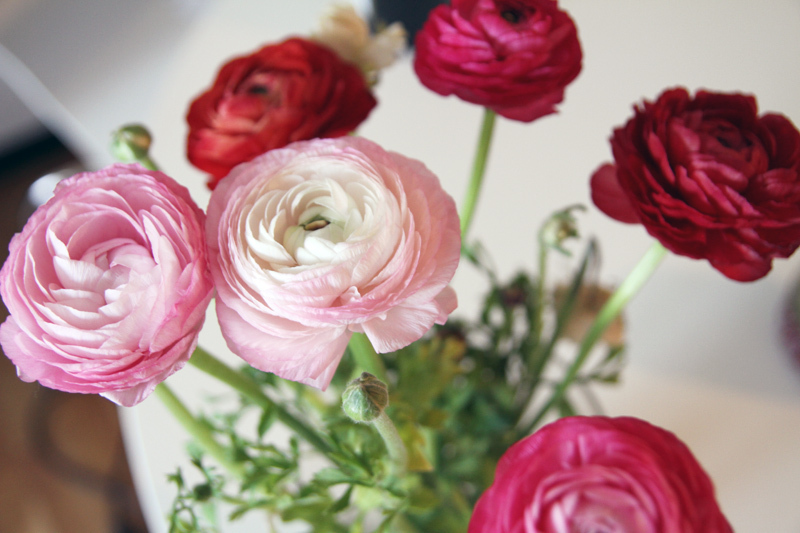 Wow, such beautiful flowers and such a beautiful blog! Those pancakes look delicious. Your pics are absolutely amazing! Amazing photos!I love Saturday mornings!Especially waking up late!